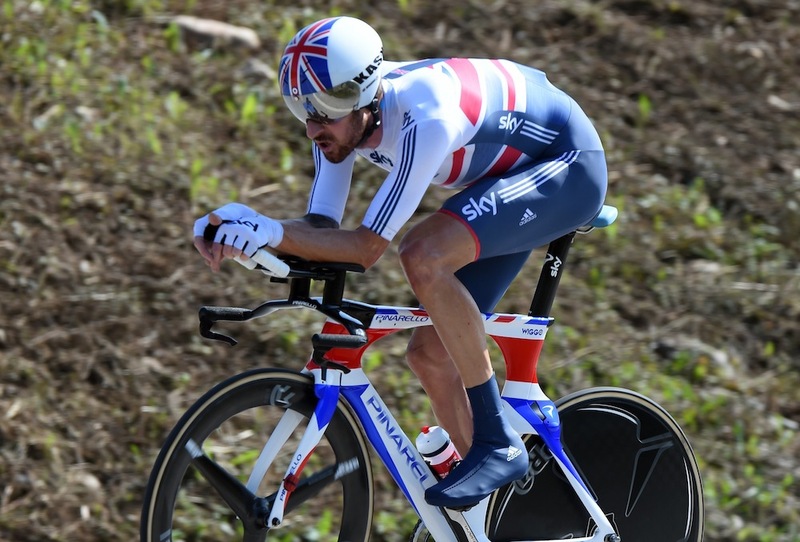 There was only one major gap in Sir Bradley Wiggins’s list of honours. Wiggins had won the Tour de France, Olympic gold medals on the track and road and multiple world titles on the track, not to mention national titles, Paris-Nice, the Critérium du Dauphiné and the Tour of Britain. His jersey collection included the Tour’s maillot jaune, the pink jersey from the Giro d’Italia and the red leader’s jersey from the Vuelta a España and enough rainbow jerseys to fill a wardrobe going right back to the one he got for winning the junior individual pursuit title in 1998. But a rainbow jersey on the road was a box left unticked. In September, Wiggins achieved what Shane Sutton described as “the last big thing for Brad to win” when he took the gold medal and the aforesaid jersey in the time trial at the World Championships in Ponferrada, Spain. And yet it was a funny old season for Wiggins. If 2013 had been salvaged by victory in the Tour of Britain, it is tempting to say that 2014 was rescued by his World Championship victory. But that would be to overlook the fact he was in the mix at Paris-Roubaix, he won the British national time trial title for the third time and cruised to victory in the Tour of California. However, it was his non-selection for the Tour de France, which started in Yorkshire, that threatened to define his year. Wiggins has always been a mass of contradictions. One minute he wants to become the first British rider to win the Giro, the next he’s turning his back on Grand Tour racing for good. As Sutton will say, when Wiggins buys into something, you’d better watch out. And the second half of 2014 was geared around winning the rainbow jersey, which was no mean feat considering Tony Martin’s track record this year. The German’s form going into the World Championships was impressive. He’d won the time trial at the Vuelta and the long one from Bergerac to Périgueux at the end of the Tour. In fact, he’d also turned the road stage from Gérardmer to Mulhouse into a de facto time trial, attacking around 50 kilometres from the end and soloing to victory. So although Wiggins was fancied for a medal, Martin was favourite. Until the day, of course, when Wiggins turned in a performance of similar class to the one that won him Olympic gold in London. It was never really in doubt and the winning margin of 26 seconds over 47 kilometres was decisive. Martin was well beaten. Having finished second to Martin in 2011 and 2013, victory was sweet for Wiggins. Because of the way the Tour de France dominates the calendar, the perception is that a rider who misses it has somehow had a bad year. But at this stage of his career (Wiggins is now 34) he is riding smarter rather than more often. He targeted Paris-Roubaix and was written off by most but he showed with his ninth-place finish that victory in 2015 is not completely out of the question if absolutely everything goes right on the day. The field at the Tour of California may not have been as strong or as deep as in previous years but the race remains prestigious and he dominated it. The Commonwealth Games were a bit of a disappointment — a silver medal with the England team pursuit squad. And then he put up a spirited performance to finish third overall at a very hard Tour of Britain, where he was the defending champion. But it is the world title on the road that made Wiggins’s year. It is that result people will look back on in years to come and regard it fondly as the one that completed the set.